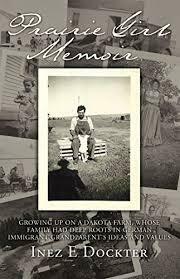 Monday, April 8, 2019 – Inez Dockter joins us to discuss her “Prairie Girl Memoir,” which takes us back to the prairie in the first half of the last century. ~~~ Bill Butcher was a longtime friend and supporter of Prairie Public, serving on our Radio Advisory Council among other roles. He died Friday at age 79. In an excerpt from a visit to the StoryCorps mobile booth in July 2018, Bill talks with his daughter Marnie Piehl about his love of sailing and other adventures, like working as an FBI agent in Minot in the 1960s, a notorious chapter in Minot history. ~~~ Part one of Harvest Public Media’s series on the National Bio and Agro-Defense Facility. It will be the main research center for some nasty animal diseases. ~~~ Fossils of ancient fish recently found in North Dakota have created considerable excitement among paleontologists. The fossils provide interesting new evidence regarding the mass extinction that took place sixty-six million years ago when an asteroid crashed into a shallow sea near Mexico. State paleontologist Clint Boyd wasn’t part of the research team, but he joins us discuss the findings and the great record of the extinction that exists here in North Dakota.